Brand new: Morgan Le Fay. Another new Mystery Knit Along (MKAL) that we are participating in with The Unique Sheep (TUS) and designed by Janine LeCras. 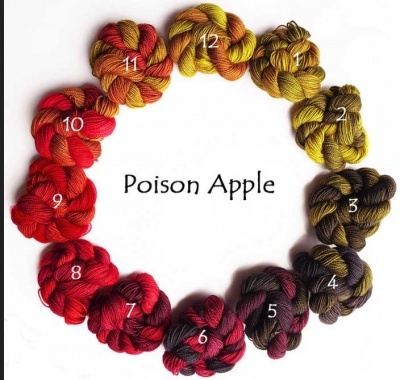 Please note that here we are taking Pre-Orders: This means that your yarn will be dyed in the colorway of your choice and in the yarn base that you choose. There are optional beads (you decide if you want them or not). This whole process takes time, of course. The MKAL begins June 7, 2019. Sing-ups will remain open through to June 7th. Anyone who orders by May 7th can be assured that your order will arrive before the KAL. Ordering between May 7th and June 7th means we'll try our best, but no promises. 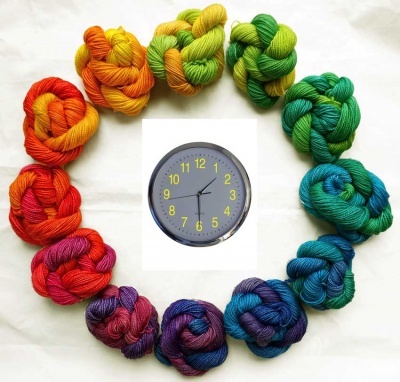 Weekly "clues" will be sent out either via email or sent to your Ravelry library. If you want the clues stored in your Ravelry library, make sure to let us know your Rav name when you order. The pattern will be emailed to you in pieces. On the first day you'll receive the instructions for the first part of the pattern. In the following weeks you'll receive the rest of the pattern, bit by bit. But you won't see a finished picture of the shawl until the very end! Those who participated in the Snow White MKAL that just finished up will have received a special coupon code from The Unique Sheep with their last clue. We will also be honoring that on EarthFaire. 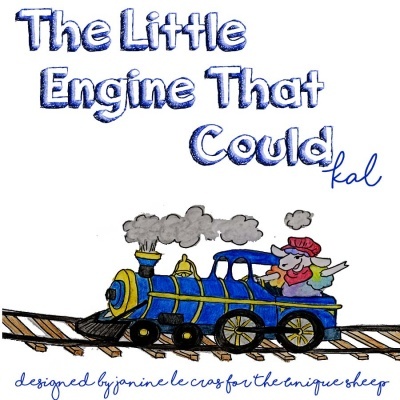 This, our next KAL, is inspired by the classic story of The Little Engine That Could, and other railroad inspired children's fiction. 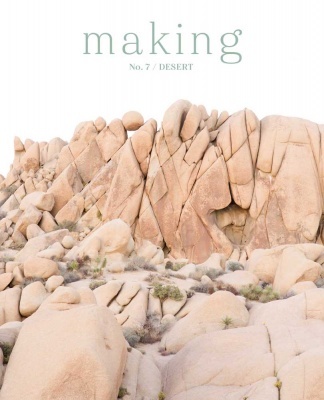 See some of the inspiration for this on TUS's Pinterest board. Designed by Janine le Cras, this rectangular shawl is worked in lace weight yarn and can be knit in any of our lace weight bases. 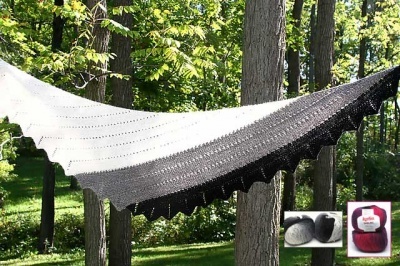 This shawl uses 4 mini-skeins of yarn (total yardage of approximately 1,200yd). 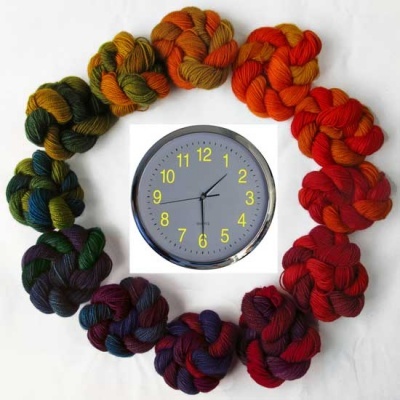 If you'd like to try something new, we are offering a linen/ silk yarn as a special option just for this KAL. 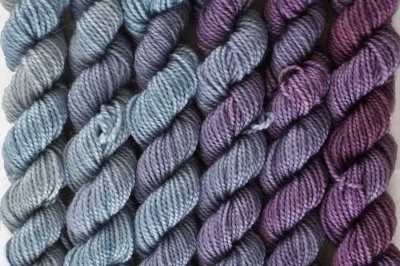 This new yarn is a luxurious blend of 65% silk and 35% linen. 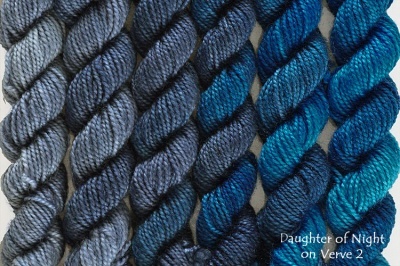 It is a bit heavier than most of our other lace weight yarns (992yd per 4oz). It has a beautiful silky shine similar to that of Marici but broken up with slubs and texture from the linen. Most importantly, it blocks beautifully and holds its shape with crisp stitch definition thanks to the linen. It takes color more muted than Ling or Marici. The other yarn choices are all the "usual" lace weight yarn from TUS, and can be knit in Eos, Ostara, Ling or Marici. 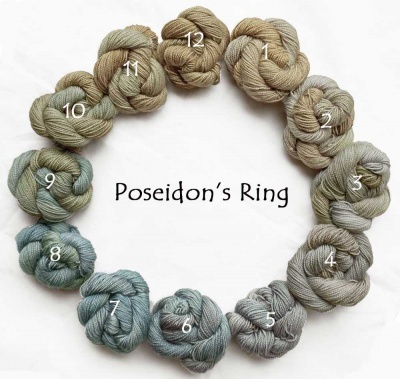 There is a great post on the Ravelry site by Kelly that describes these in depth. Some being more expensive than others have an addition on the drop-down menu -- this amount will be added to the base price as you check out. Bead Requirements: aproximately 1,400 size 8/0 beads (optional). We will include well more than that in either Miyuki or Toho beads (the highest quality worldwide). If you have a preference for bead color, let me know. Otherwise I will choose for you. My basic tendency is to choose beads which mirror to some degree the colors in the yarn. 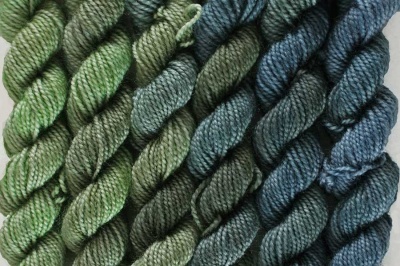 You can choose to knit with a regular colorway or one of our Gradiance colorways. It looks great with or without beads. 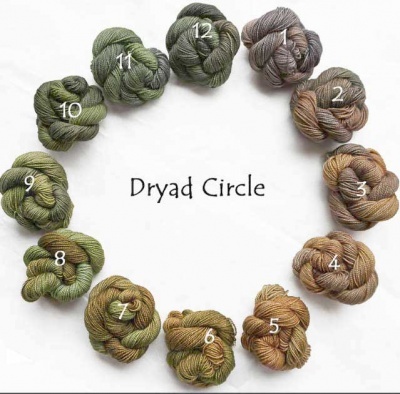 We are assuming any colorway you choose will be dyed as a Gradiance colorway. 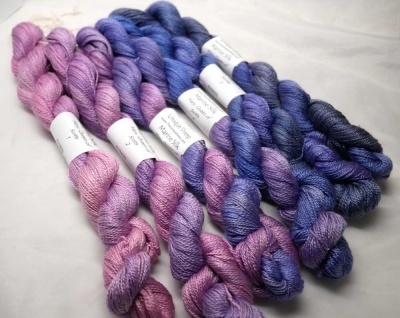 If you would prefer a "regular" colorway, contact me first. .
We have some special exclusive-to-EarthFaire colorways listed in our drop-down menu. Earth Faire exclusives are those you can only get through us. Almost all are shown on these Flickr pages , though we are constantly working with Kelly to create new ones and those might be a bit late having their pictures taken. Feel free to contact me if you would like more descriptions or other photos. You can also get through us any or all of the colorways that Laura and Kelly dye for The Unique Sheep. Just set the drop-down menu to "Other" and tell us what. We'll make sure you get your choice. 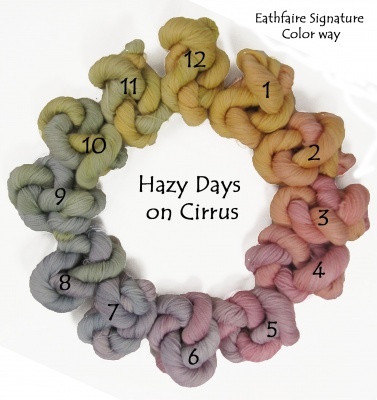 Some of these colorways are based on circles of color. You will notice in the drop-down menu that quite a few ask you to "choose your numbers". Each circle has 12 possible skeinettes of color. 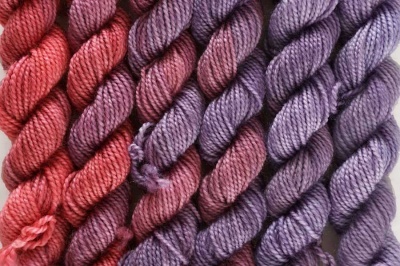 You can choose any 4 consecutive colors to make your own personalized colorway. 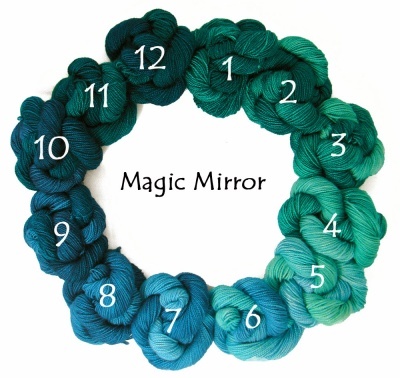 For this 4-skein set: you must do is choose the number to start with. A number of the photos on this page show circles or color strips that are labeled by number. 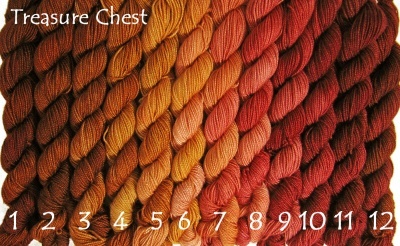 If you want, for example, to start with 10, then your set will have the skeins noted as 10, 11, 12, 1, 2. Morgan Le Fay runs from coral to a dusty purple. 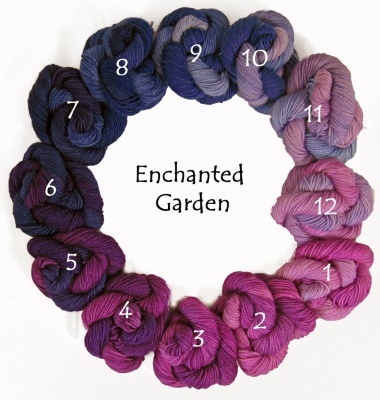 If you like, you can pick the four skeins on the purple side for your colorway or the four on the coral side. Just tell us your preference! 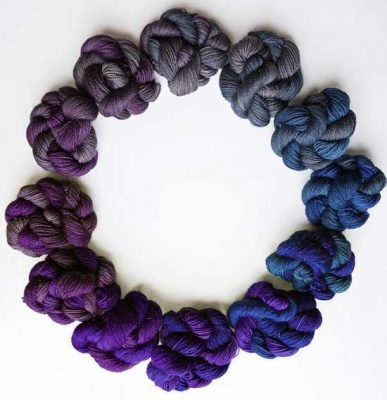 Guinevere​ starts with a stormy slate blue and ends up at a dusky plum. A wonderfully cool blend. Lancelot runs sage green to gray blue. A colorway Mother Nature would love.